SAN FRANCISCO MOTORCYCLE ACCIDENT ATTORNEY REPORT: The Bay Area motorcycle accident lawyers at Riderz Law have learned of a tragic accident that occurred in Pacifica earlier this week. This past Tuesday afternoon, 31 year old Nicolas Eric Narag, a Los Angeles resident, was killed in a motorcycle accident on Highway 1 just south of Devil's Slide. According to California Highway Patrol, Mr. Narag was riding his 1998 Yamaha motorcycle north on PCH at over 100 miles per hour when he lost control around a turn, tipping his motorcycle and skidding accross the double yellow line, crashing into an oncoming Toyota pickup truck. Mr. Narag died at the accident scene. Fortunately, the driver of the pickup truck was not injured. Our deepest sympathies go out to Mr. Narag's family in the wake of the sensless accident. California Highway Patrol reported that minutes prior to the accident, Narag was seen speeding on his bike, traveling over 100 miles per hour. 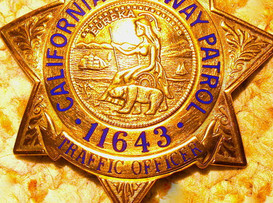 CHP officers had been notified of a speeding motorcycle, but were unable to respond before the accident occurred. Unfortunately, this is just one of several recent fatal motorcycle accidents in the Bay area – all of which involved motorcyclists traveling too fast for conditions and losing control of their bikes. As motorcycle accident lawyers in the Bay area and throughout California, we see far too many preventable accidents like this. We remind our clients and readers to ride smart and ride safe.